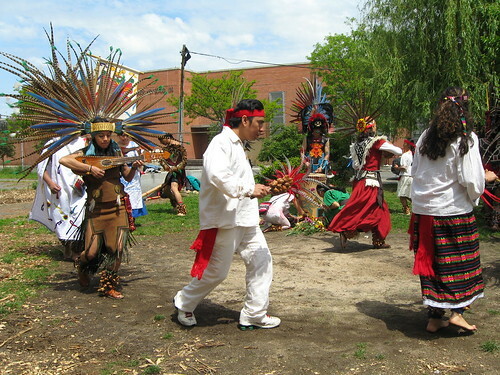 Music, Art, Performance at Brook Park. Would you like to present your creative work at Brook Park? A few guidelines: music must be reasonable, we need to protect our plants and structures, the garden must stay open to the general public during your performance. Within those guidelines, though, we encourage you to let your creativity reign. We also host Illegal Death a performance piece by Bronx based artist Alicia Grullon. Illegal Death is a re-enactment in response to the unresolved deaths of undocumented workers in the Tri-State area. We are also pleased to consider temporary art installations that harmonize with the aesthetic and purpose of the garden and can be secured in our public space. For example, we have hosted the sculpture of Kim Holleman. And exhibited the work of local teens and teachers inspired by French artist, JR’s global “Inside Out” project. If you are interested in exploring any of these possibilities further, contact us and tell us about your proposed project.